First, I would like to thank all those who sent me email and signed in my guest book with all the kind wishes and compliments. I am sorry for not being able to answer all my email because it would be too heavy a load for my Honorable Secretary and Webmaster, Mr. Pugh, who has kindly offered his services freely in helping me set up my website, www.buksing.com, which was no easy assignment. The project was a challenge for him, and I am sure everyone will agree with me (without trying to sound boastful), that it is the best website to date – thanks to his dedication and efforts to give me only the best. Much of the history and material was to be my book on Choy Lay Fut that I started thirty years ago, but for various reasons was put on hold. Now, with the generous and patient efforts of Mr. Pugh, I am finally getting closer to realizing my dream. I would like to personally thank the ‘ Singapore Hong Sheng Koon’ for much of the material I have acquired over the past thirty years, and their friendship and hospitality – they should take most of the credit. I hope to be working on the book by next year, 2002. There is still much to learn and share in our never-ending search for propagating this great fighting Shaolin art. In spite of different versions of the history, we should all share our knowledge on the history of Choy Lay Fut. As to the debate over the Green Grass Monk and its authenticity, believe and absorb what you want, but don’t force your opinions on anyone without proof or solid facts. Leave this to only the most senior members to decide. Unfortunately, now days there are too much in the way of politics, jealousy and power hungry individuals fighting among themselves in our fraternity for superiority – It used to be this style versus that style! As for the existence of the Green Grass Monk (Ching Cho Wor Seung), whether you choose to believe it, it’s not important as long as it is agreed that Jeung Hung Sing founded the Hung Sing Kwoon branch; that’s all that matters here! If all three branches have the ‘Gwa’, ‘Sau’, ‘Charp’ ‘Pau’ and ‘Bien Chuis’, its Choy Lay Fut! There is only ONE Choy Lay Fut, whether it’s the Chan family, Hung Sing or Buk Sing with its roots from the Shaolin Temple, with styles including Hung, Lau, Choy, Lee (Lay) Mok, Fut Gar, etc. The founding father from the beginning, Chan Heung, should be given the credit and respect he deserves. All three branches of Choy Lay Fut have something valuable to offer-no branch is better or superior, only the individuals behind the system. 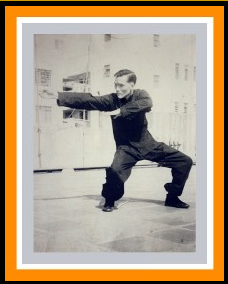 As long as we believe and agree that Great Grandmaster Chan Heung is the Founder and Jeung Hung Sing (Jeung Yim) is the founder of the Hung Sing Kwoon (school) and Tarm Sarm (Tam Sam) is the founder of Buk Sing Kwoon, there is no need to fight among yourselves as to who has the real version of the History of Choy Lay Fut! We are all ONE family-Choy Lay Fut! There are always those individuals who think they know everything and are better than everybody else. They try to stir up trouble in the quest to get some attention and recognition. They are usually the ones with the BIG MOUTH and the first to run at any sign of challenge. Let your hands do the talking (Gong Sau)! Don’t meddle in affairs that are beyond your own comprehension. We of the Choy Lay Fut Fraternity must unite and be strong and forget our differences. We have to set a good example for our students, the future generation; otherwise the martial arts world will laugh and look down on us. We have only one goal, that is to promote and bring glory to Choy Lay Fut. I know Master Chan Yun Fa (from Sydney , Australia ) and he is the great, great, grandson of our founder, Chan Heung of Choy Lay Fut. He is in possession of the original documents, photos and manuscripts of Choy Lay Fut as passed down to him and his aunt, Chan Kit Fong, now residing in Arcadia , California . Therefore, in my opinion, they are the true inheritors and keepers of the Choy Lay Fut System as passed down by our Great Grandmaster Chan Heung to his son, Chan Koon Bark, grandson Chan Yiu Chi, great-grandson Chan Wah Hon and finally to his great, great grandson, Chan Yun Fa. Chan Yun Fa is a very humble and knowledgeable Master who has done a great deal to carry on the family tradition, even though he is not regarded as the most senior member in the Choy Lay Fut Fraternity. Unfortunately, not everyone in the Choy Lay Fut Fraternity shares this feeling, for reasons I would rather not disclose. If my Sifu Kong Hing did confront him it is for a good reason. We need to respect his privacy by not creating or stirring up any more trouble. Kong Hing is among the most respected members in the Choy Lay Fut Fraternity today – there is no one I can think of that is equal to him, and I am not saying this because he is my Sifu. He can fight, and when he talks, everyone keeps quiet because they know he is right and honorable, and few if any dare to contradict him. One piece of advice; if you intend to interview him, make sure you have a good interpreter and never try to contradict him verbally or otherwise! You will not win! Now, more than ever, with the recent and continuing threat by terrorists, war and recession, we need to unite and channel our energy, revenge and aggression towards the Real Enemies. They are not at our gates, they are inside already – Watch Your Backs! P.S. 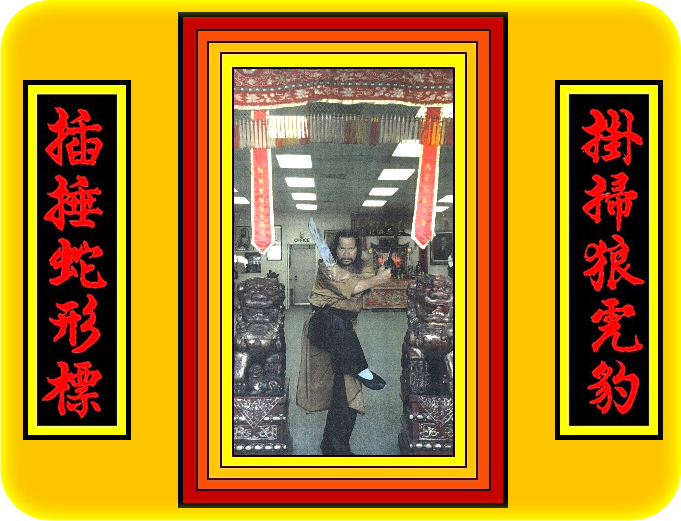 For the history of Choy Lay Fut, Buk Siu Lum (Northern Shaolin) and myself, check our website at www.buksing.com and click on the dragon in the center of the home page.